San Pedro del Pinatar - The gloves are off in the Mediterranean town of San Pedro del Pinatar, where 1899 Hoffenheim have wasted no time at all in arming new recruit Jiloan Hamad with the necessary toolset to thrive in the high-octane world of the Bundesliga. The Swedish international midfielder joined up with his new team-mates for the very first time on Monday and is already feeling the heat following his long-awaited arrival from Swedish champions Malmö FF. Hoffenheim sporting director Alexander Rosen is only too happy to give the Swedish top tier's 2013 Player of the Year “as much time as he needs” to settle, though, fully aware that his fleet-footed employee played his last competitive outing back in early November. Rosen’s agreeable demeanour proved a major selling point for Hamad, who admitted to courting a number of European suitors, before eventually putting pen to paper on a three-year deal at Hoffenheim on 30 October 2013. 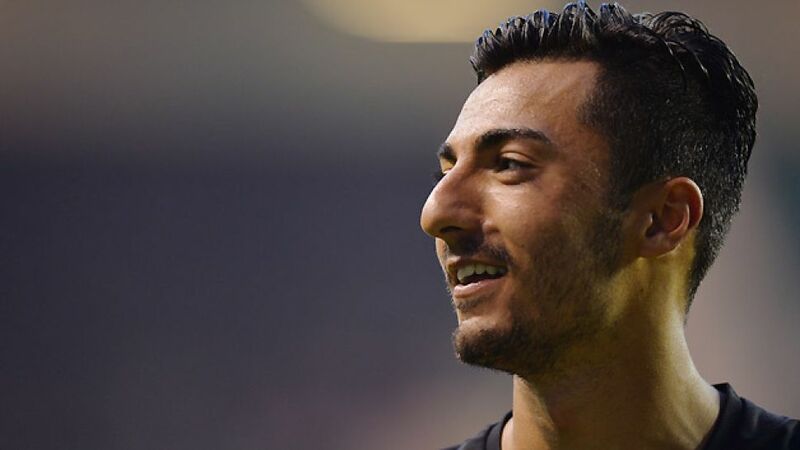 Born in Azerbaijan's capital Baku and having spent time in Russia en route to Sweden, Hamad will now look to lay down some roots in the quaint southwest city of Heidelberg, just a stone’s throw from his uncle’s Sinsheim abode and Hoffenheim’s Rhein-Neckar-Arena. “I want to be successful,” the free-kick specialist affirmed in broken German. “I’m a quick learner. Both on and off the pitch, this is the right club to help further my development [...] I’d love to be involved in the first game [of the Rückrunde against 1.FC Nürnberg]."